The T1 tramway route passes by virtually all of Istanbul’s most well-known sights. Crossing the Galata Bridge and weaving through the Old City, the T1 practically rubs up against the Hagia Sophia, Topkapı Palace, the Grand Bazaar and other famous attractions, ensuring that most foreign visitors to the city will ride this tram within a five-stop radius. But after the T1 rumbles past the old city walls, it snakes its way northeast through a dense patch of working-class districts usually ignored by tourists. Dreary on the outside though they may look, many of these neighborhoods are laced with off-the-beaten-path charm and culinary delights hidden in plain view. Located a 10-minute walk uphill from the T1’s Soğanlı station in the district of Güngören (no less than 21 stops away from Sultanahmet) is Istanbul’s Little Gaziantep, a small concentration of restaurants showcasing the cuisine of Turkey’s most prized culinary destination, including dozens of different kebabs and decadent pistachio baklava. The population of Güngören has nearly tripled since the 1980s, and it is now home to a large number of people originating from Gaziantep. 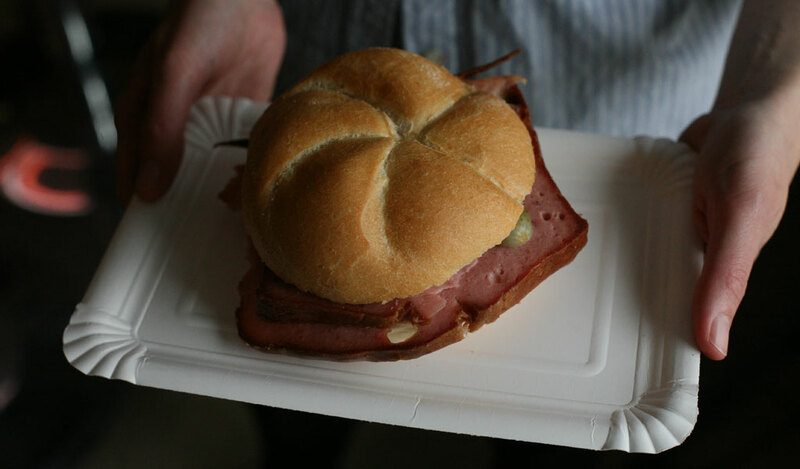 Many of them brought their local cuisine to the district’s most central neighborhood, which soon blossomed into entire streets lined with shops and restaurants bearing the provincial specialties. 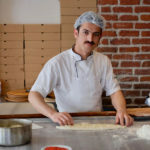 There is a shop selling baklava flown in daily from Gaziantep, and a restaurant serving nohut dürüm, a wrap of partially mashed chickpeas topped with red peppers, parsley and spices in the middle of a piping-hot piece of flatbread. We plan to visit both places on our next stop. Locals craving a taste of the sumptuous Southeastern city no longer have to leave Istanbul, where they can pay a visit to Hizmet Kardeşler. 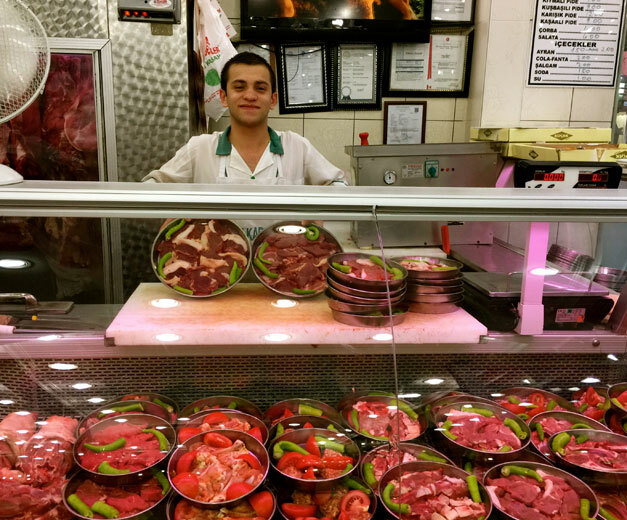 Offering an approach known as the fırınlı kasap (“butcher’s oven”), Hizmet Kardeşler’s concept is one not commonly found on the streets of Istanbul. “This originates from Gaziantep,” said İbrahim Bey, the fresh-faced in-house butcher, as he hacked into a side of beef pulled directly from an adjacent glass refrigerator. 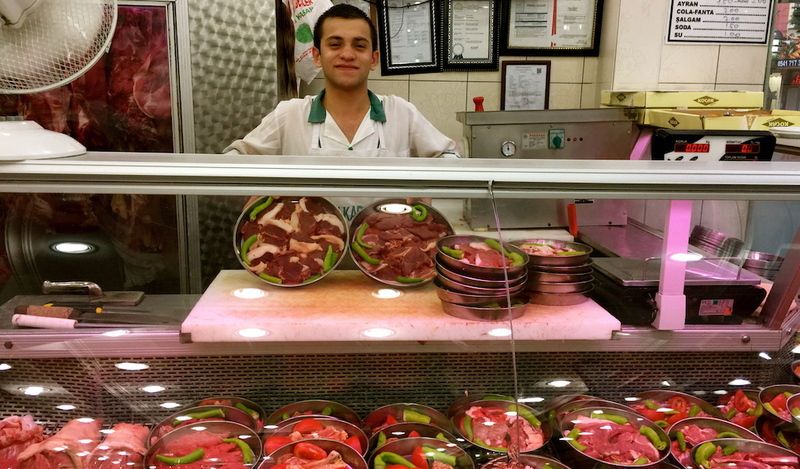 Fresh cuts are made precisely by İbrahim Bey – a 20-year-old who said he first picked up the trade when he was seven – then immediately arranged alongside green peppers and tomatoes in a silver tava displayed neatly in a butcher’s case, where customers can choose their dish before it is plunged into the depths of a cavernous oven. We stopped in twice for Hizmet Kardeşler’s oven-baked treats, opting to begin the meal with the piping-hot Anatolian classic lahmacun, a crispy disc of flatbread smeared with minced beef and spices and oven-baked, then spiked with fresh sprigs of parsley, lemon juice and tomato, rolled into a wrap and eaten right away. 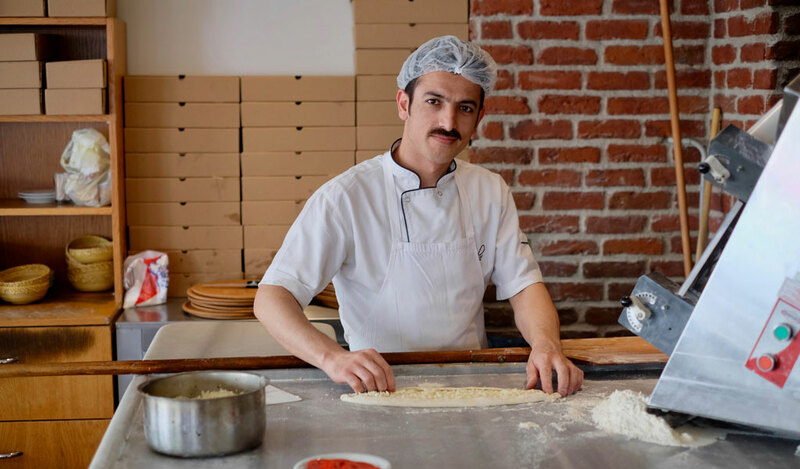 A good lahmacun must be enjoyed right out of the oven, and Hizmet Kardeşler’s version delivers with its crispy edges punctuated with air bubbles and a crust slightly thicker than normal, giving this lahmacun some chew and placing it among the city’s best. For the main course we went with the antrikot tava, a rib-eye steak that was cooked a little more than we would have liked, but that retained a hearty tenderness thanks to the bath of juices from the surrounding peppers and tomatoes. 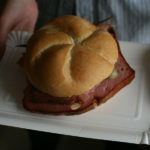 On our second visit we were tempted by the köfte, Turkey’s ubiquitous meatball. 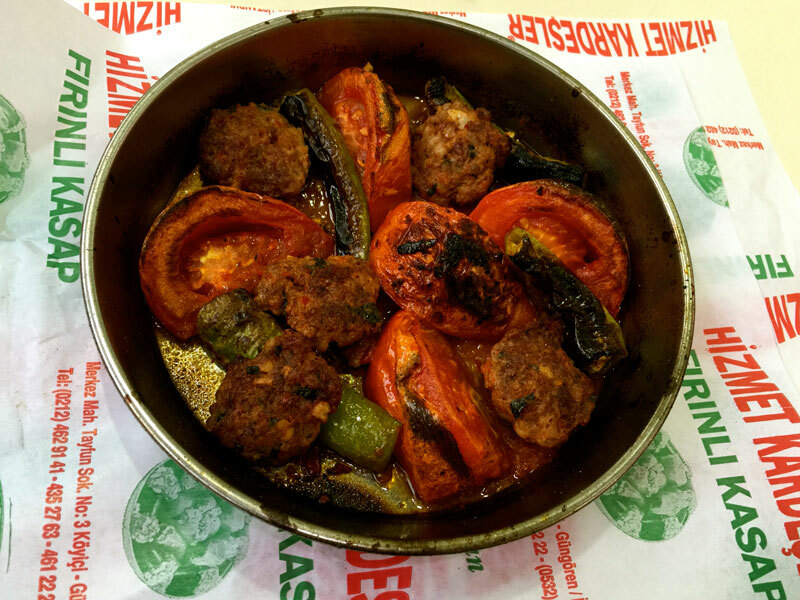 Hizmet Kardeşler’s köfte, prepared by hand by İbrahim Bey, came out of the oven speckled with juicy bits of fat and packed a pleasant punch of flavor, particularly in conjunction with the spicy earthiness of the green peppers. At just 8.50 TL, the 100-gram dish was just the right size, since we once again couldn’t resist beginning the meal with lahmacun. Cramming in about 300,000 people in around 7 square kilometers, Güngören is Istanbul’s smallest municipal area by size but is home to the city’s highest population density. Though separated by a one-lane avenue, the tramway seems to brush up against tightly packed rows of buildings as it rolls through the district. While there are mazes of winding side streets with shabby buildings packed together impossibly tightly, the district has been given some room to breathe thanks to recent municipal park projects, which are occupied by dozens of families relaxing on a balmy August evening. 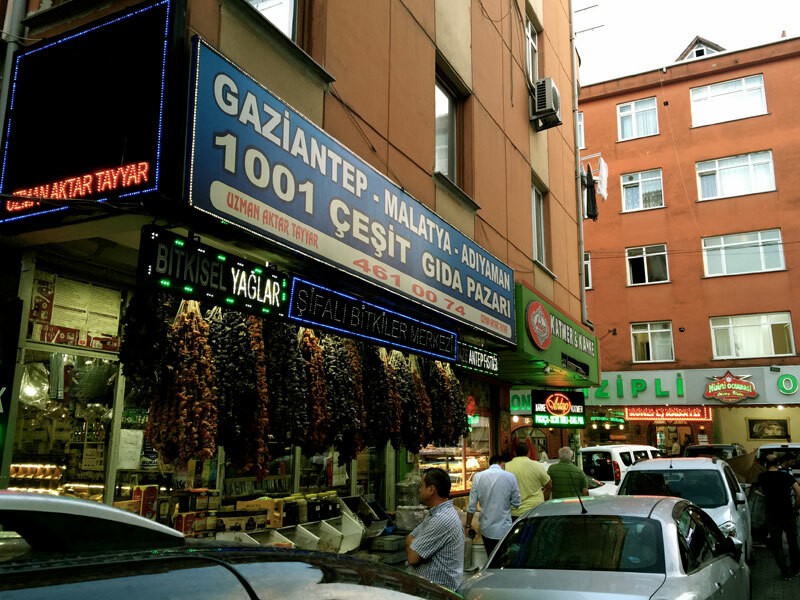 Güngören and other nearby districts are often unfairly deemed varoş, or “ghetto,” by more well-to-do Istanbullites, who would never dream of venturing there, but they are missing out. Tucked behind a series of Güngören’s sudden hills, narrow avenues and unassuming apartments is one of Istanbul’s countless hidden treasures. A trip to Little Gaziantep – and Hizmet Kardeşler – is well worth the journey toward the periphery.